wOBA (an explanation of wOBA can be found here). percent, but his overall Swing percentage is at 37.7 percent. make solid contact with, either in or out of the strike zone. that masked his improved discipline even when he did make contact. 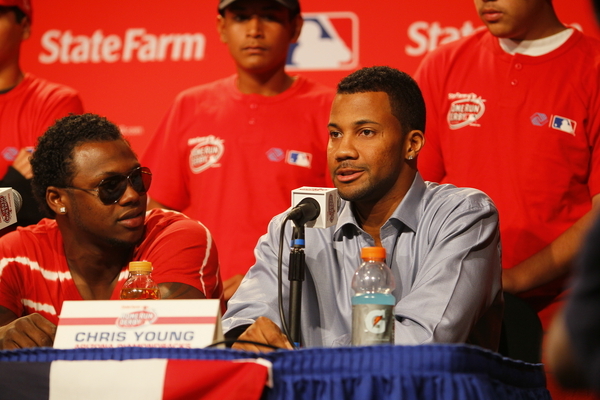 course, Young did not reap those benefits in 2009.
the infield at a career-high rate. above-league-average OBP in his career. Young’s ability to get on base is all the more important. season so far was his ’08 campaign, in which he was worth 2.2 WAR in 160 games. rookie season, even while abandoning his free-swinging approach. stats accurate through May 22.